The elegant decor of The Gulmohar Jaipur makes it an ideal option for a grand wedding. It allows you to get your own caterer from outside to serve your favourite cuisines. Gulmohar Garden Jaipur, Kukas also allows you to get your own decorator from outside to decorate the venue as per your requirements. 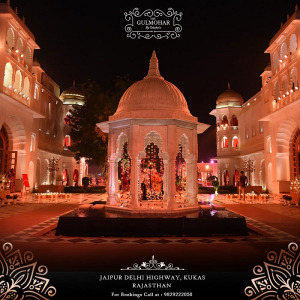 Being the best marriage gardens in jaipur, The Gulmohar is also the ideal place for destination weddings in jaipur. The wide space and open lawn also makes it an ideal option to those who are looking for the best concert venues in jaipur. 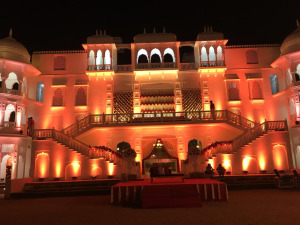 Book "The Gulmohar by Talukas" which is one of the best wedding venues in rajasthan.